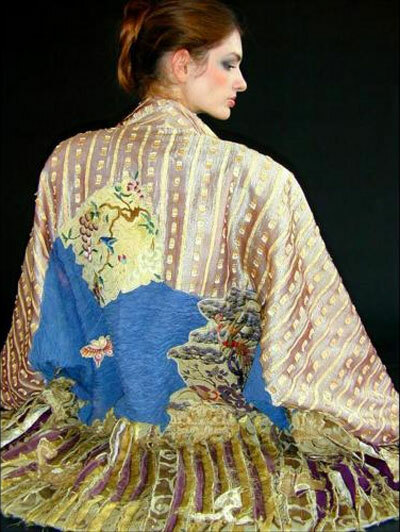 Born in Japan, my esthetic was influenced by Japanese furniture, pottery, kimonos, tea ceremony and ikebana. I use textured, pleated, embroidered fabrics. I do my own shibori – Japanese pleating and dyeing techniques, to further the textured palette. Teaching various kinds of shibori and surface design techniques keeps me experimenting with new processes constantly. Beginning as a collage and quilting artist 28 years ago, I started with wall pieces, landscape pillows and delicate appliqué and beaded table runners. Working on a graduate degree in visual studies, I was influenced by sculpture, papermaking, printmaking and painting. 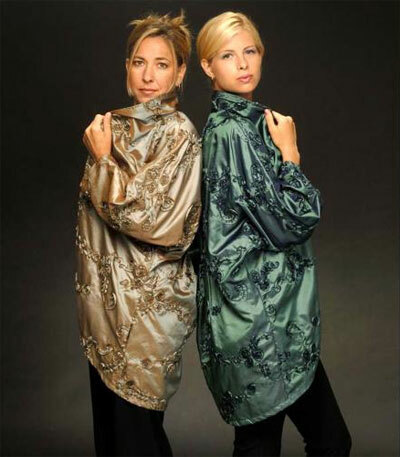 These studies led to further exploration in three dimensional clothing, surface design and fashion design. I have been sewing since the age of 12, had take tailoring courses and continued to develop designs for myself of increasing complexity. 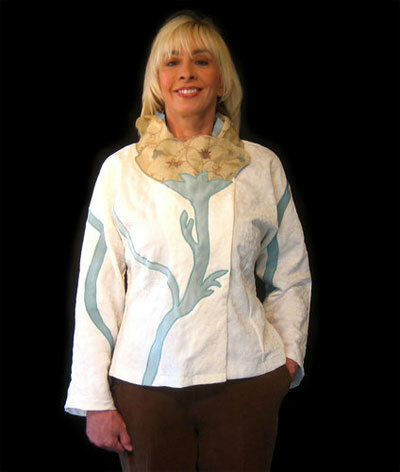 It became evident to me that “fiber wearable” would allow me to blend art with fashion. 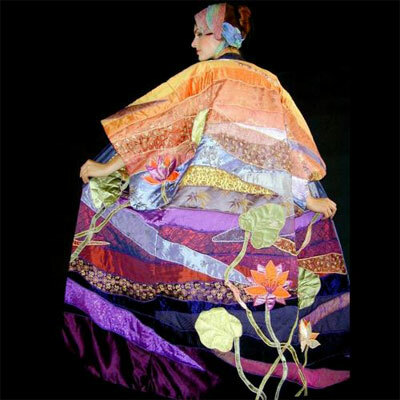 Kimonos were a natural beginning for selling wearable art. Other jacket, dress, skirt ensembles for special occasions grew out of that period. I continue to support myself as a full time exhibiting artist. My work is represented in banks, libraries, hospitals, retreat centers, offices, and private homes.